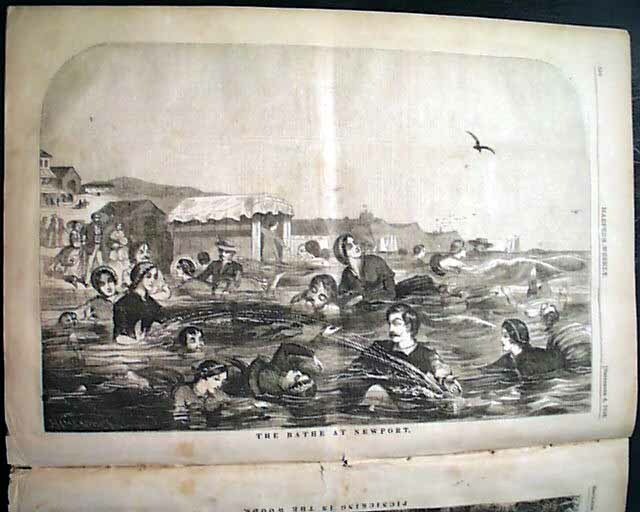 The prime content would be the two full page Winslow Homer prints, captioned: "The Bathe At Newport" and "Picnicking In the Woods", along with the great two-thirds page illustration of: "Salt Lake City - Brigham Young's Harem and the Deseret Store", being a very early graphic on the Mormons. 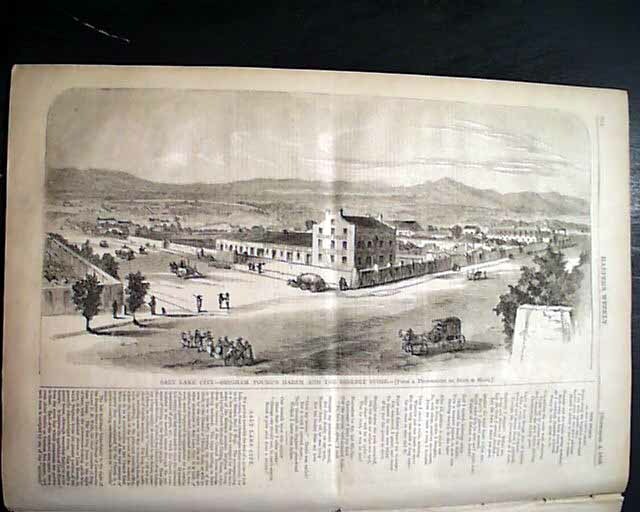 There is a related article on the same page: "Salt Lake City". 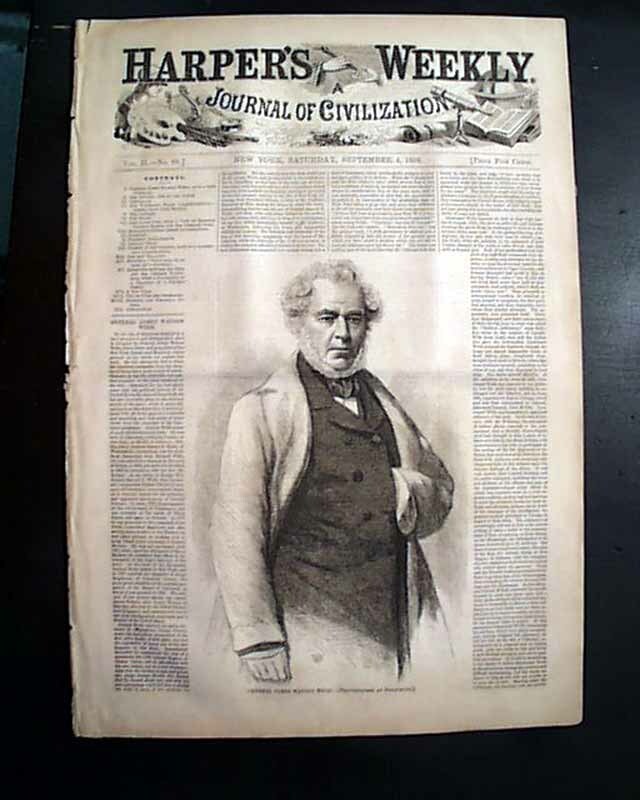 The front page features a nearly half page illustration of "General James Watson Webb" with an accompanying article. Other illustrations include 3 prints relating to the article: "Butterfly Parks". 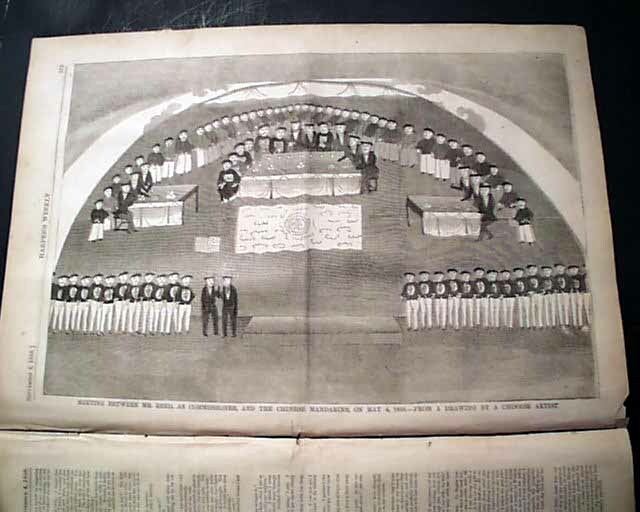 Also a full page: "Meeting Between Mr. Reed, as Commissioner, and the Chinese Mandarins, on May 4, 1858 - From a Drawing by a Chinese Artist". The back page features several cartoons. 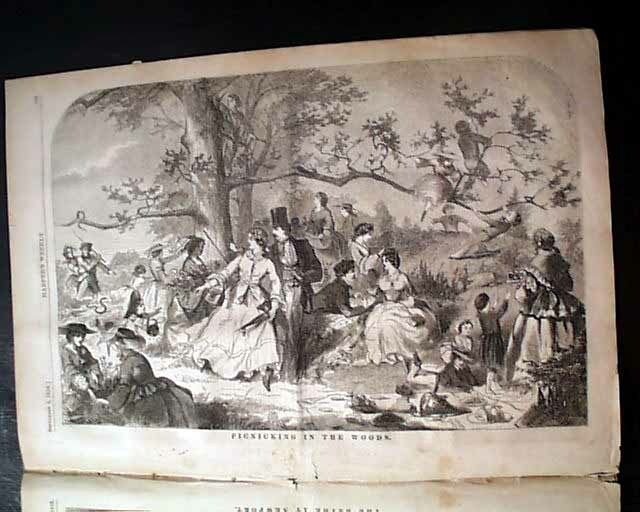 Complete in 16 pages, a bit irregular at the blank spine, some tears at margins just extending into the Chinese print, some light foxing to the two Homer prints (see).